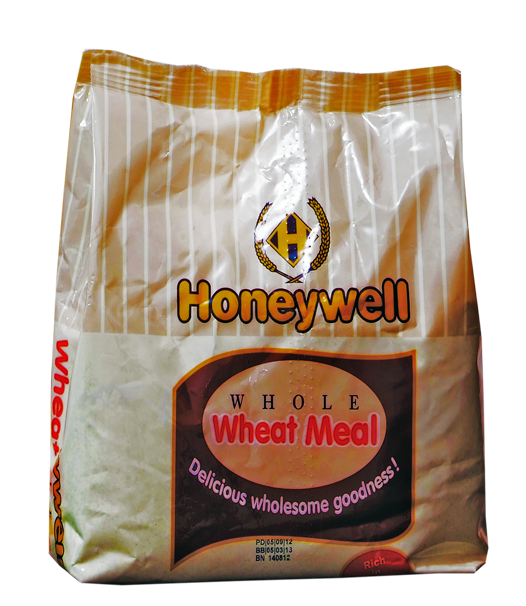 Honeywell wheat meal was launched in 2009 and has since become one of Nigeria’s favourite staple foods. Wheat meal is produced using Honeywell’s advanced milling processes which guarantee quality and taste. Honeywell Wheat Meal is rich in protein and fibre. Fortified with Vitamin A and naturally enriched with other essential vitamins and minerals including Calcium, Iron and Zinc. With its high vitamin and mineral content wheat meal is perfect for all the family and an ideal accompaniment to your favourite soup.